Take advantage of this great offer while it lasts. Order one, two, or three products to take advantage of this rebate. 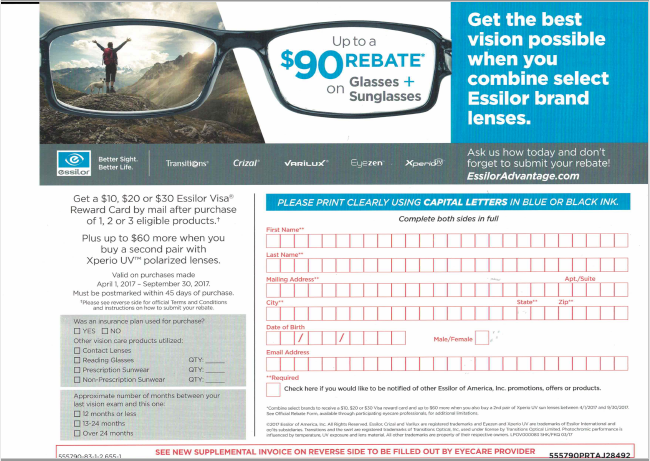 Triple your rebate by ordering a second pair of polarized sun lenses for the summer!